1 YRS Xi'an Dingyan Technology Co., Ltd. Features: * Separate design made the control unit apart from the test unit. * The function of auto speed up and instant test can auto deal with the test data and display test result. * Stored measurement results : Following the survey, the results can be stored.
) 0~2,000 ppm (which ever is larger) &plusmn;10 % ( rel. ) (which ever is larger) CO2 : &plusmn;0.5 % (abs. ) (which ever is larger) O2 : &plusmn;0.1 % (abs. 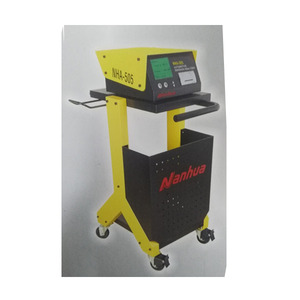 3.With function of free acceleration test and measurement of transients, automatic process of test data and display of measuring results. 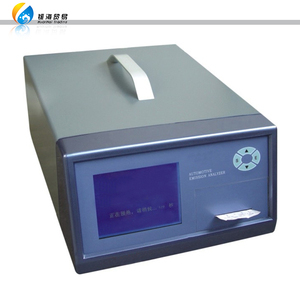 With constant temperature control in the sample cell, it can avoid condensation and influence of accuracy due to change of temperature. 4. After sending, we will make the necessary documents for your Import customs clearance. A great pressure difference is created inside and outside the sample and any slight leakage can be observed and identified when the sample is inflated. We improve quality continuously in order to meet customer satisfaction and gain trust with high quality, competitive price and responsive service . Meanwhile we have obtained good reputation and built excellent relationships with various clients. 2 thermocouple for center and surface of specimen. Temperature of inside furnace calibration is optional. Technical datas and operation manual sent for evaluation. 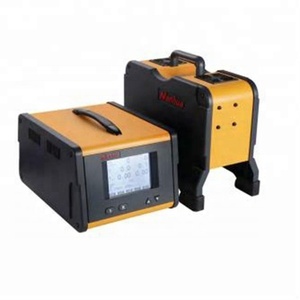 The system is a laser dust detector installed with flange at pipeline/flue. sea freight; Usually we offer 10 days after order confirmed and payment received. 2, Q:What about lead time9 A: Usually we offer 10 days after order confirmed and payment received, and we can also accept urgent order for prompt shipment. Principle: Firstly submerge the specimen in the water within the vacuum chamber, and then evacuate the vacuum chamber to form differential pressure between the inside and outside of specimen. The leakage property could be obtained by observing the steady progression of bubbles from the specimen and how the specimen expands and restores to its original shape after vacuum release. Standards: ASTM D3078 Features: The instrument utilizes the digital preset design of vacuum degree and vacuum retention time to ensure the accuracy of test data. CRS3 common injector and pump tester Bulk order can be given some discount CE certificate and ISO9001:2008 CRS-3 is a common rail system tester that can simulate the engine electronic control unit (ECU) to issue driving signal to drive Bosch, Denso, Delphi and Siemens high pressure common rail pump and solenoid valve common rail injector. Combining with traditional high pressure pump test bench, CRS-3 adopts high pressure common rail pump as its high pressure fuel source to test injector and finishes the testing of injecting delivery, return-fuel delivery and injector atomization under different common rail pressure and injecting frequency. By testing high pressure fuel delivery under different speed and different pressure, it can test the situation of high pressure pump. 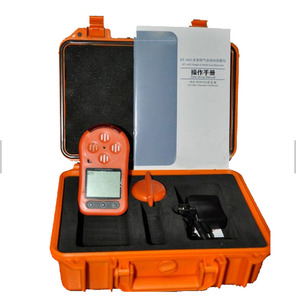 Alibaba.com offers 176 emission tester products. About 32% of these are gas analyzers, 26% are testing equipment, and 10% are diagnostic tools. 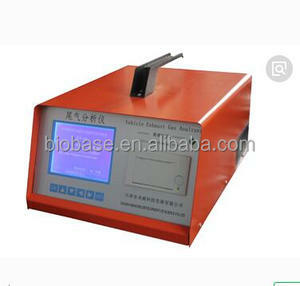 A wide variety of emission tester options are available to you, such as auto testing machine, universal testing machine. You can also choose from electronic, hydraulic. 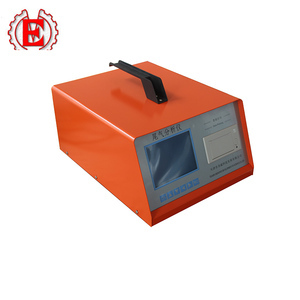 As well as from battery tester, engine analyzer, and code reader. 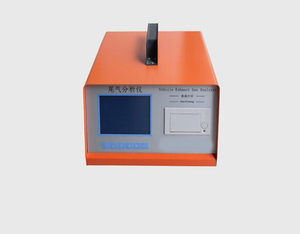 There are 176 emission tester suppliers, mainly located in Asia. 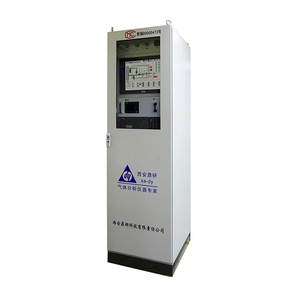 The top supplying country is China (Mainland), which supply 100% of emission tester respectively. 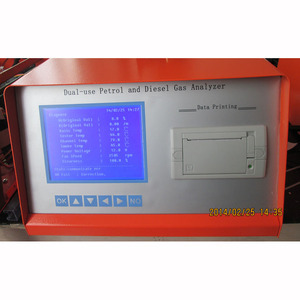 Emission tester products are most popular in Africa, South America, and North America. You can ensure product safety by selecting from certified suppliers, including 108 with ISO9001, 47 with Other, and 47 with ISO14001 certification.